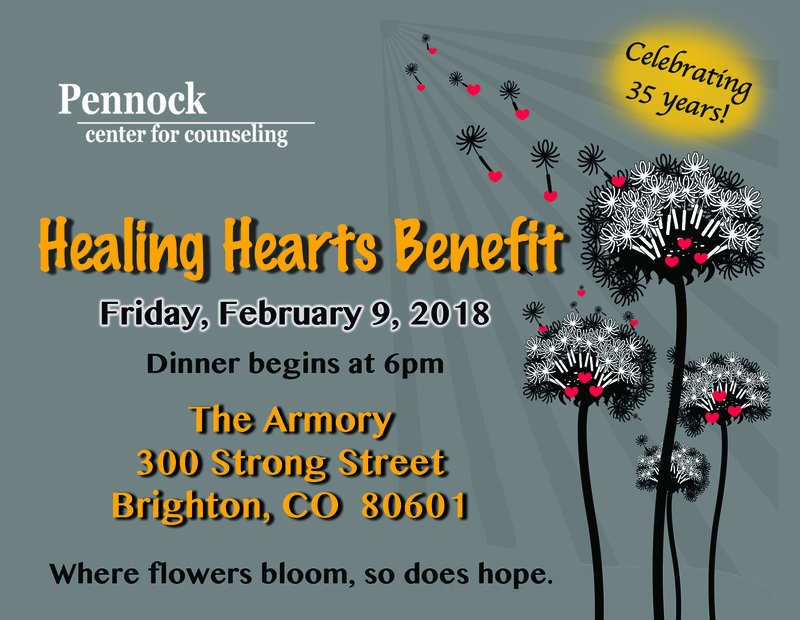 We are excited to be hosting our 9th Annual Healing Hearts Benefit to raise funds to support our low-cost and no-cost mental health services. 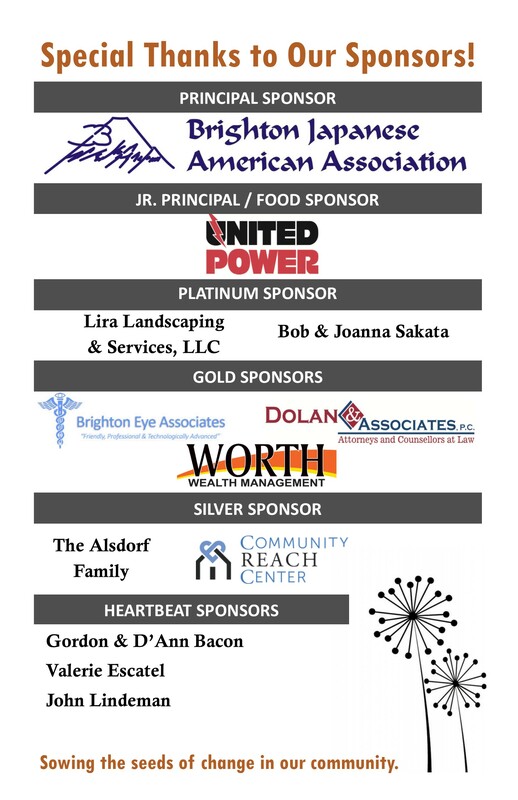 This year is a special one for our agency, as we are celebrating our 35th Anniversary in the Brighton community! Our founder, Mary “Penny” Pennock, had a passion for gardening and a love of helping people. She sowed the seeds of hope and change in this community through her kindness and generosity. Many local organizations, including Pennock Center, and countless individuals have benefited from her gifts. The seeds she planted so many years ago have grown and flourished into a beautiful garden of agencies and a sense of community that still flourishes today. We are thrilled to honor her legacy and look forward to celebrating this wonderful milestone with you. The public is invited to this special event on Friday, February 9th. Doors open at 5:30 p.m. with the main event beginning at 6:00 p.m. The evening will take place at The Armory Performing Arts Center in Brighton and will include an Italian buffet dinner provided by CJ’s Catering, dessert, cash bar, and more! A silent and live auction will provide spirited entertainment while raising needed funds. Butch, our auctioneer with the big hat, big sense of humor and great passion for his work will be running the live auction. We have some wonderful items this year! Some of the items include two roundtrip tickets on Southwest Airlines worth $800, deluxe, overnight stays at the Ameristar Hotel in Blackhawk, sports memorabilia, and event tickets. We will also have some hometown favorites…tamales made by Tom Delgado and a beautiful quilt by Dot Lindsey. These are just a few of our great items that will be available. There is something for everyone! We will be honoring Platte Valley Medical Center with our Healing Hearts Award for mental health advocacy in our community. Tickets will not be available at the door and will need to be purchased in advance through Eventbrite.com or at the center, located at 211 S. 21st Avenue in Brighton, CO. Tickets will be available for purchase until Monday, February 5, 2018. We look forward to spending the evening with you! If you have any questions about this event or would like to become a sponsor, please contact Jody Pierce at 303-655-9065, Ext. 16 or drop us a note at info@pennockcounseling.org.